Politicians lie to us, frequently. Nowadays that is accepted as fact, but in 1914 an overwhelming majority considered their political leaders truthful, honourable men, and would have dismissed the suggestion as outrageous. They were very mistaken. In Hidden History, The Secret Origins of The First World War we present overwhelming evidence which proves that a small group of imperialist zealots within the British government, acting on behalf of a secret cabal of extremely rich and powerful bankers and industrialists, lied repeatedly to parliament and the people to conceal their plans for a war to destroy Germany. On the fateful day of 3 August 1914, the mendacious Foreign Secretary, Sir Edward Grey, again lied repeatedly to the House of Commons. Then, despite assuring members of parliament that they would decide if Britain went to war or remained neutral, he stirred the House with jingoism and anti-German rhetoric before undermining the democratic process and rail-roading Britain into the conflict. There was no vote. There was no democratic consent for war. Immediately the war ended the secret cabal concealed, destroyed or falsified documents and reports which incriminated them. Thereafter, they packed the peace talks at Versailles with their carefully selected placemen and were able to distort facts, manipulate the truth and conceal their guilt. In an Orwellian reversal of truth it was held that Germany had deliberately planned the war and rejected all Allied proposals for conciliation and mediation. The few German delegates permitted into Versailles protested vehemently and with absolute justification that Germany was not responsible. Their protests were in vain. The officially approved version of blame for the war centred on German militarism, German expansionism and the Kaiser’s tyrannical ambitions, malicious lies that have been regurgitated ever since by the British Establishment’s carefully selected historians. For those of you living elsewhere than England we should explain that those diamond jubilee celebrations in 2012 comprised four days of street parties with feasting, drinking and dancing in every village and town in England. The streets were bedecked with bunting and Union Jack flags, and wild outbursts of patriotic fervour filled every corner of the land. Even the pouring rain did nothing to dampen the public’s lively and noisy celebrations. In answer to The Guardian’s poignant question, it appears that the prime minister believes such a ‘capturing of the national spirit’ to be an eminently suitable way for Britain to commemorate the centenary of the opening days of the barbaric slaughter of the First World War. Andrew Murrison stated that it was ’emphatically not the place of Government in our 21st century liberal democracy to be handing down approved versions of history’, yet in the same speech did exactly that. The war, he maintained, was moral, just and necessary against the militaristic aggression of Germany. His political predecessors, he believed, had been correct in taking the country to war, and the centenary now presented ‘an opportunity to balance the Oh! What a Lovely War/Blackadder take on history that, sadly, has been in the ascendant for the past 50 years.’  It was not the place of government to interfere in historical interpretations of the war, but the commemorations were an opportunity to counter stage, screen and television productions which correctly portrayed it as a pointless, evil and insane vulgarity. Sir Hew Strachan, the man chosen by the government to oversee historical interpretations of the war commemorations, is the leading military historian at Oxford University and a Fellow of All Souls College. In Hidden History we reveal how Oxford, All Souls in particular, was the spiritual home of the secret cabal responsible for the war, and the academic crucible for their fabrication of the history of the war. The Guardian reported, ‘Hew Strachan, Oxford’s Chichele professor of history of war, says that “the country went to war for good reasons” and “the outcome must be seen as victory”’. And so, like Murrison, Strachan set the historical tone from the start. Gallant Britain had fought for good reasons, and the war ended in victory, against German tyranny one presumes. But there is almost a desperation in his words. ‘The outcome must be seen as victory’. The outcome was tragedy and loss on a world wide scale, the like of which had never been seen before. Education Secretary Michael Gove likewise betrayed the government’s true agenda when he hit out at TV programmes and historians who depicted the war as a ‘misbegotten shambles.’ Is he really asking us to believe that it was a carefully planned and well ordered war? In an article in the Daily Mail, Gove stated that ‘left-wing myths’ about the First World War peddled by Blackadder belittle Britain and absolve Germany of blame. The education secretary had little time for the view that war commemorations should not lay fault at Germany’s door. 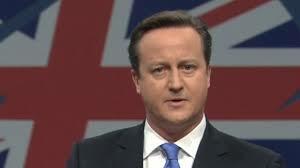 It was, in his eyes, clearly a ‘just war’ to combat German aggression. Mr Gove, who has rewritten the English school history curriculum, said, ‘it’s important that we don’t succumb to some of the myths which have grown up about the conflict in the last 70 or so years.’ He turned his fire on ‘Left-wing academics all too happy to feed those myths by attacking Britain’s role in the conflict’. He singled out Richard Evans, Regius Professor of History at Cambridge University, who said those who enlisted in 1914 were wrong to think they were fighting to defend freedom. 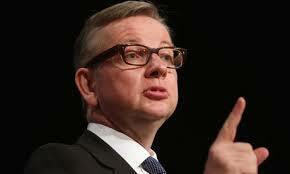 Gove added: ‘Richard Evans may hold a professorship, but these arguments, like the interpretations of Oh! What a Lovely War and Blackadder, are more reflective of the attitude of an undergraduate cynic playing to the gallery in a Cambridge Footlights revue than a sober academic contributing to a proper historical debate.’  Mr Gove, it would seem, wants to rewrite not just the school curriculum, but history itself. The government, some members of the opposition and mainstream British newspapers are turning the commemorations into the charade of the political left versus the political right. You should be aware that left and right are two wings of the same bird of prey, and this false left-right paradigm is set up to get us fighting endlessly over meaningless arguments. It is a distraction from the truth, from deep, searching questions as to why the war happened and who was responsible. One hundred years ago it was deliberately brought about by a secret cabal within the British Establishment, and today that same Establishment is reinforcing the old lies and battening down the truth. Throughout the centenary years of 2014-18 we will vigorously challenge the received history of the First World War, and the plethora of newspaper articles and television programmes cobbled together and repackaged by the establishment media to complement that history. We will unmask the lies and present hard factual evidence that clearly demonstrates how the secret cabal of elites in Britain deliberately brought about war in 1914 and unnecessarily prolonged it beyond 1915. Be warned, it is evidence that will shock you and disturb you. Official versions of the war’s history as taught to the present day are fatally flawed and soaked in lies. Lies that have penetrated so deeply into the psyche that your first reaction might be to discount our thesis because it challenges your every assumption. You may be content to live with the lies. If not, we ask that you accept our challenge, examine the evidence we will be laying before you, and let your open-mindedness be the judge. Our only motive is disseminating truth about the First World War. Our research material is made freely available to all, and interested readers are invited to share it widely. We understand that it may sound ridiculous to speak of history as a deliberately concocted lie, or of documents and reports being falsified to cover-up the truth and protect the British Establishment. After all, if you studied the First World War at school or university, such a bold claim in an exam would have been immediately dismissed and marked down. In the next blog we explain how matters might have remained that way had it not been for the intervention in the middle of the last century of a well-respected and academically gifted American historian and political commentator, Professor Carroll Quigley. The Guardian 11 Oct 2012. The Guardian 12 August 2013.’The Government seems intent on avoiding any serious debate about the war and its causes’. The Guardian, 13 July 2013. Mail Online: 2 Jan 2014. The Guardian, 6 January 2014.